A glass wing butterfly rests delicately on some bark, with the light reflecting rainbows in its wings. Love the idea, just collecting ideas. Hi. 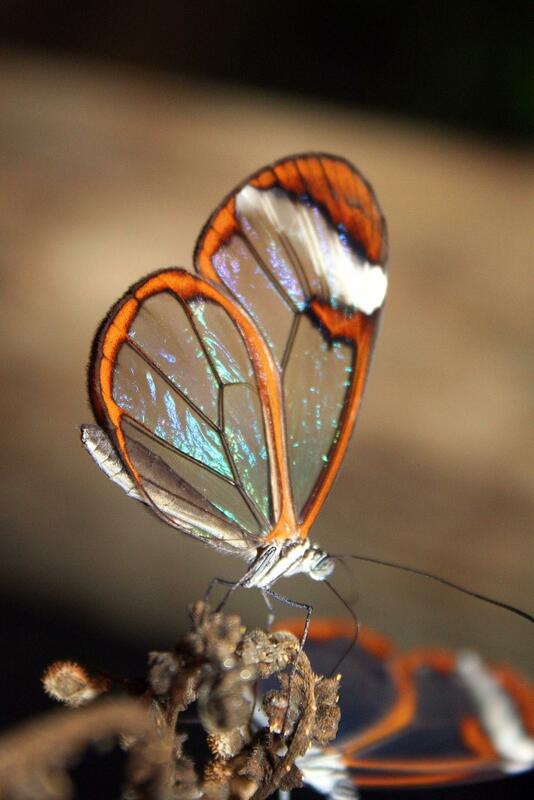 Thanks for your comments..... the wings of this "glass wing" are in actual fact transparent. A unique photo with what appears to be transparent wings.